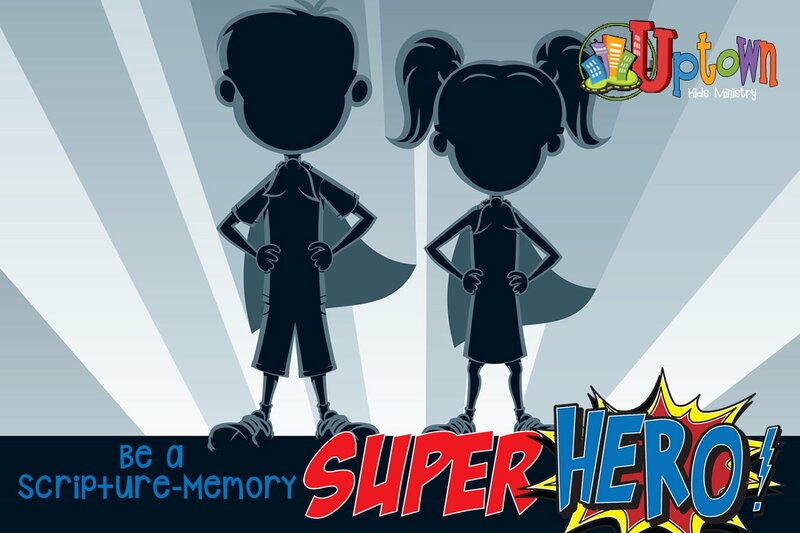 Be a Scripture-Memory Super Hero! 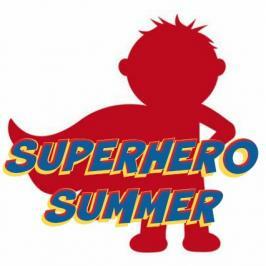 You may recognize some booklets for our “Super Hero Memory Program” that have gone home with your kids in the last couple of weeks (1st-3rd Graders). We are very excited about this! I am investing in our kids memorizing the Bible, in them hiding Scripture in their hearts. My goal is to get them started on being able to recognize Bible sections, to maybe even have a piece of Scripture to lean back on when they need help deciding what is right. I hope that this sets their hearts on a good course and crafts their identity. That’s a big goal, but if you don’t have a big goal why be motivated to try? Here’s a few guidelines, straight from me. They have until August 4 to memorize these verses. There are many one-point verses, a few two-point verses, one three-point verse, and ten points for memorizing the book titles in order for each testament. That last one – that’s an easy ten points! 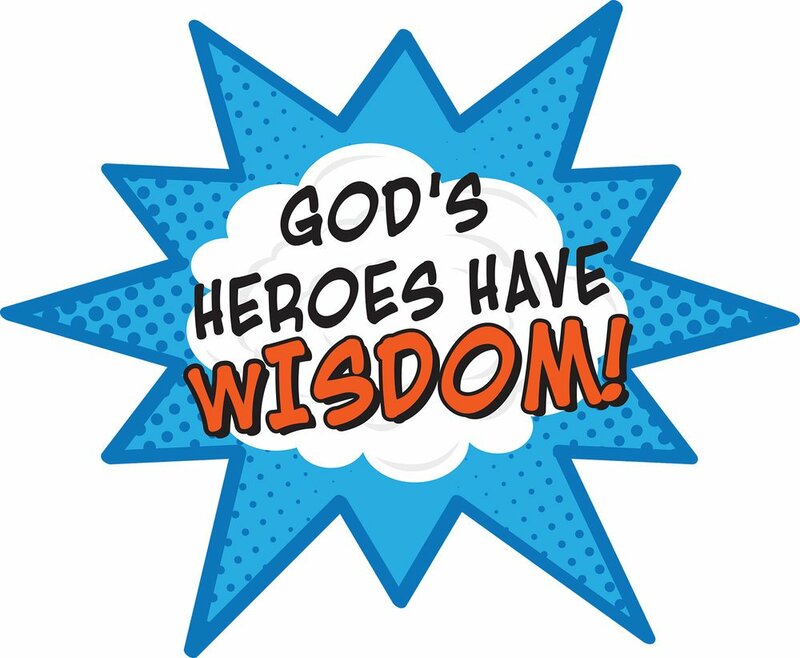 They will need to keep their book throughout the summer, and when they bring this book to church they can recite the verses they memorized that week. A check-in volunteer, a classroom teacher, or I will sign and date when they recited the verse. At the end of the ten weeks, they can turn their books in to me and I will add up how many points they earned. If they reach fifty-one points, they get to go to our Grand Prize Party. This will be something awesome, like laser tag, mini golf, or a movie pizza party. Like I said, I am investing in your kids learning Scripture! There are other prize tiers too, and you can check these out in the memorization books. This program is for upcoming first through third graders. I am also relying on you, parents/grandparents/guardians, to help them memorize. These kids aren’t all strong readers yet, and we aren’t providing designated class time for memorization. So at home, help them read the verses, find some songs on YouTube that give the verses a fun tune, and Google other great memorization practices. I know that when I had to memorize verses in college, Scripturetyper.com was an AWESOME resource. I’m splitting the responsibility with you- help them learn, and we’ll listen to the recitation and provide GREAT prizes. There is good in it for you too! No Grand Prize Party for adults, but I have confidence that as your are coaching your kid or listening to them practice, it will help you to memorize these verses yourself. Have you memorized much Scripture? I know that many people come to faith as adults, and I am so excited about that. But in that process, did you go through the elementary process of memorization? Church, this isn’t just for parents of the kids in Uptown. Memorizing Scripture is incredibly useful. Scripture says that we hide His word in our hearts so that we might not sin against Him. It helps us with our call to righteousness. It turns our heart towards loving him. Scripture also says to always be ready to give an answer for the hope that we have. This is a great reason to study apologetics through philosophy and science, but it is also a great reason to memorize Scripture. When someone challenges you, and I hope that they do, what do you have to say? Do you have passages of the Bible that you can share in conversation with someone who might doubt what God’s word has to say? Can you share something that motivates you to love? This summer, I commit to memorizing these Scriptures alongside our kids. I will make sure that, by the time the day comes around in August, that I will know all of these verses. I will memorize the books of the Bible in order. I hope you will too! I had an unexpected encounter recently. Friday mornings, my wife is in the office and my two older kids are at school, so my youngest (Charlotte) and I have that time with just the two of us. 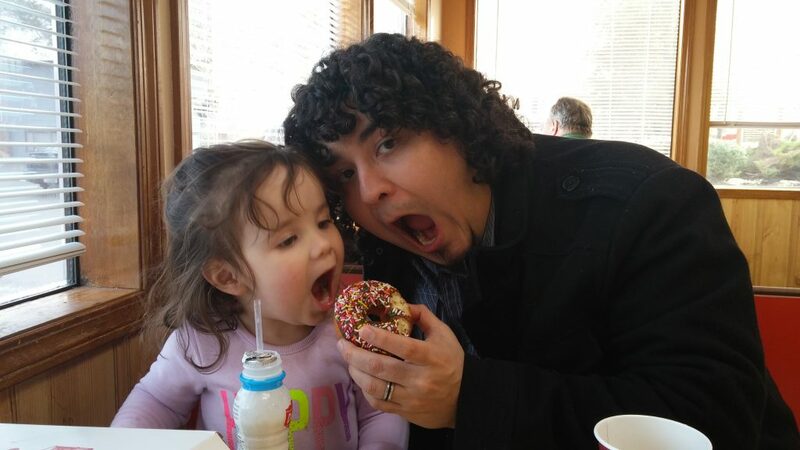 Well, a few weeks ago, I decided to take Charlotte out to breakfast, only the healthiest of meals, of course. So, we made our way to Burger King, put in our order, and sat down to wait for our food. We sat in our booth, alone in the restaurant, save for one other man. Ah! Now I understood. He was a Christian who was looking for a way to share his faith. 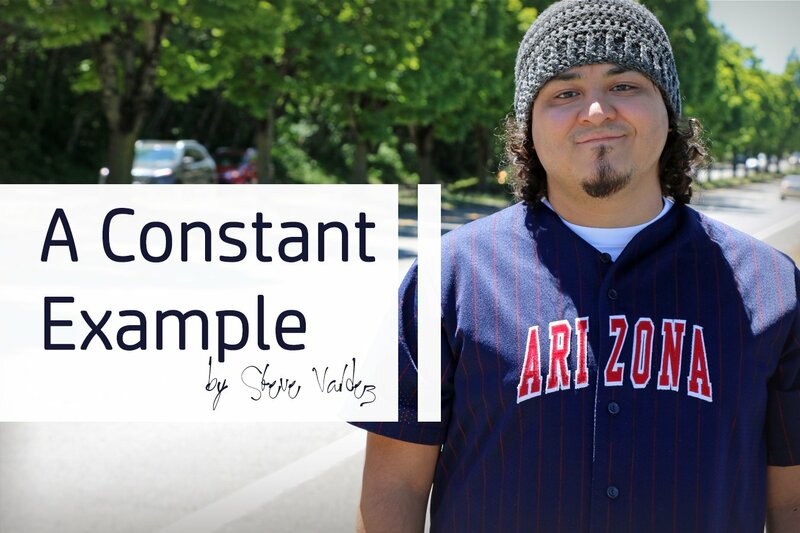 I was impressed by how direct he was, and happy to hear what he had to say, but was also trying to communicate to him that I was a fellow believer. After some time, I was able to mention that I was a pastor. This seemed to surprise him, and that seemed to satisfy him, and he brought his testimony to a close. I remember thinking to myself how bold he was in his faith, and how he was so willing to preach Christ to a stranger. But this is when things took a bit of a turn. He stood up and walked to the counter and asked the cashier if his food was ready yet. She said it would be just a moment, they only had two people working at that time. Well, I guess he thought this would be the right time to complain, and so began a lecture on what “fast food” should mean, how many staff should be working, and how to communicate with customers. The cashier, also the manager, said that she was sorry for the inconvenience and that his food would be out as quickly as possible. At this point, he heaved a sigh and went toward the bathroom, only to find them locked, as per that Burger King’s “restrooms for customers only” policy. This began a second lecture on customer convenience and how businesses should be run, all while the manager is helping customers. The manager apologizes again, she gathered his food, handed it to him, and he walked out the door without so much as a thank you. Now, I want to make one thing clear before I go on, I don’t know this man personally, and I cannot make judgments about him. So many things could have impacted his attitude that Friday, not the least of which being that he was just having a bad day. So I won’t say anything about the man personally. But, what I will say is that, were I a non-Christian bystander in this situation, this would have directly impacted my opinion of Christians. Here we see someone eager to share the gospel, directly followed by being eager to judge and lecture an overworked manager. It reminded me that, when it comes to being an ambassador for Christ, telling people about Jesus must always be paired with treating them with the love of Jesus. Hearing the word, reciting the word, even spreading the word, means nothing if we aren’t doing what it says. We are called to love others, to treat them as we would want to be treated, and to do those things joined with telling them about Jesus. We can’t just think that our words are separate from our actions. We cannot just hear the word, we need to be living it as well. 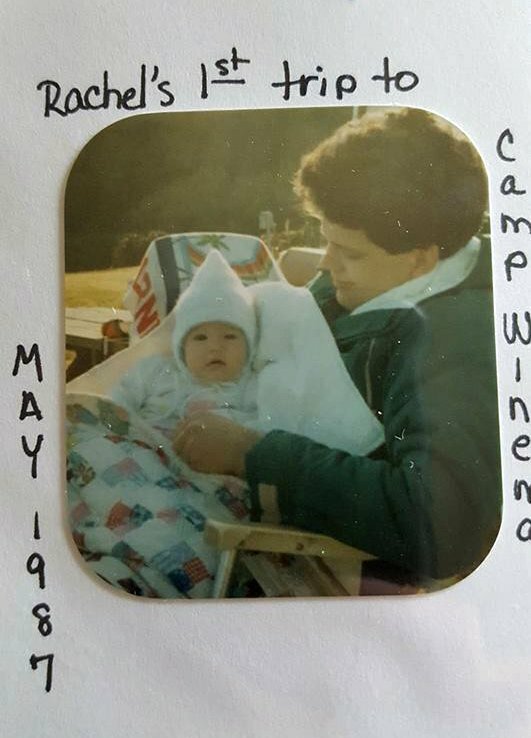 My first trip to Camp Wi-Ne-Ma! For as long as I can remember, going to camp has always been the highlight of my year. To me, life was divided into two seasons: camp and not camp. 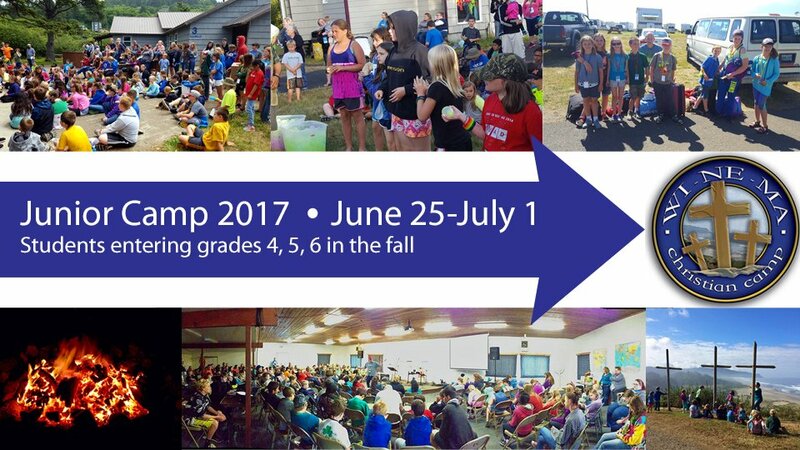 Each year I would wait and wait for camp to arrive, and it was always the most amazing week. I made friends with kids from all over the Pacific Northwest – friends that I am still in contact with as an adult – my camp friends. 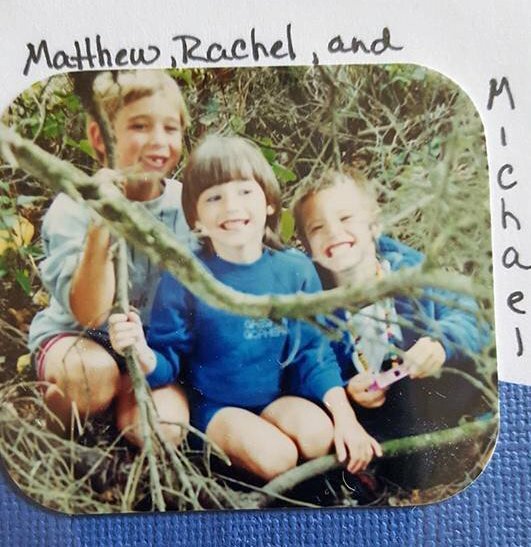 During camp, I wouldn’t get homesick, but I definitely got campsick when it was time to be back at home. 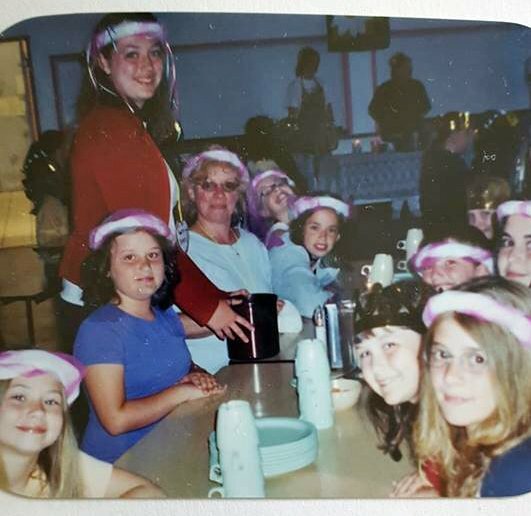 Some of the most formative moments in my life happened while I was at camp Wi-ne-ma. There are so many different directions that my life could have taken. Camp had a profound impact on my life. I met my best friend at camp when I was fourteen years old. 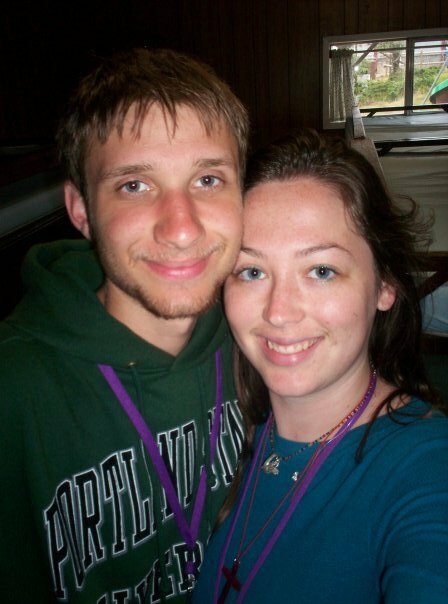 I met my husband at camp when I was fifteen years old. I was sixteen years old (and at camp) when I decided to go to bible college and pursue a ministry degree. 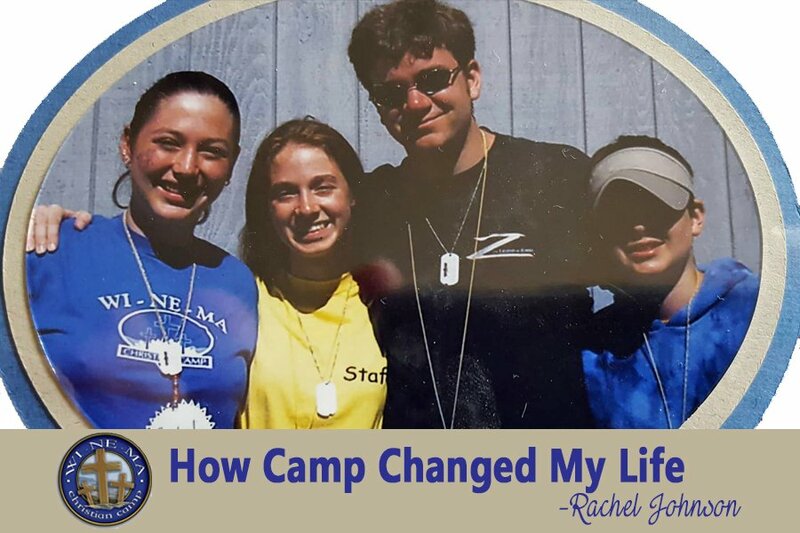 Without the things that I learned and experienced at camp, I truly do not know where I would be today – or even who I would be. At camp, we get to share with kids how much God loves them. At camp, kids get to try new things and grow more independent. At camp, we learn to slow down and how to live in community with one another. At camp, everyone gets to unplug from his or her lives (especially all the technology). At camp, kids get to reconnect with nature – God’s beautiful creation surrounds them. At camp, we get to make mistakes and we get to fail, and that is okay. 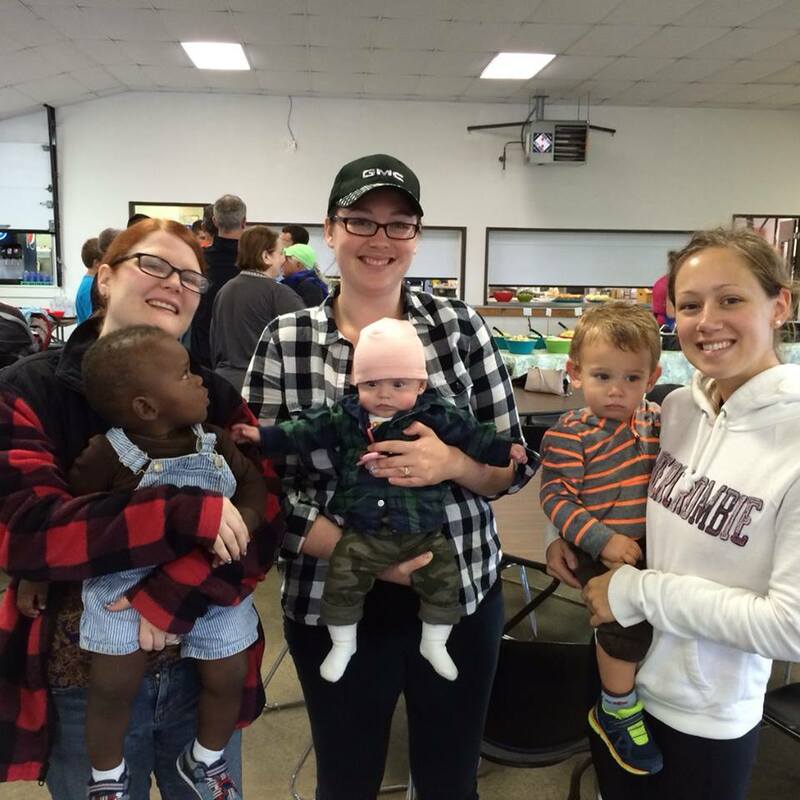 At camp, lives and hearts change. Camp Wi-ne-ma will always hold a special place in my heart. Even to this day, I cannot keep myself away. Every year I go back and volunteer as a counselor at camp. I still look forward to camp season, I still get to go and see old friends (and make new ones), and I still get campsick when I am away. 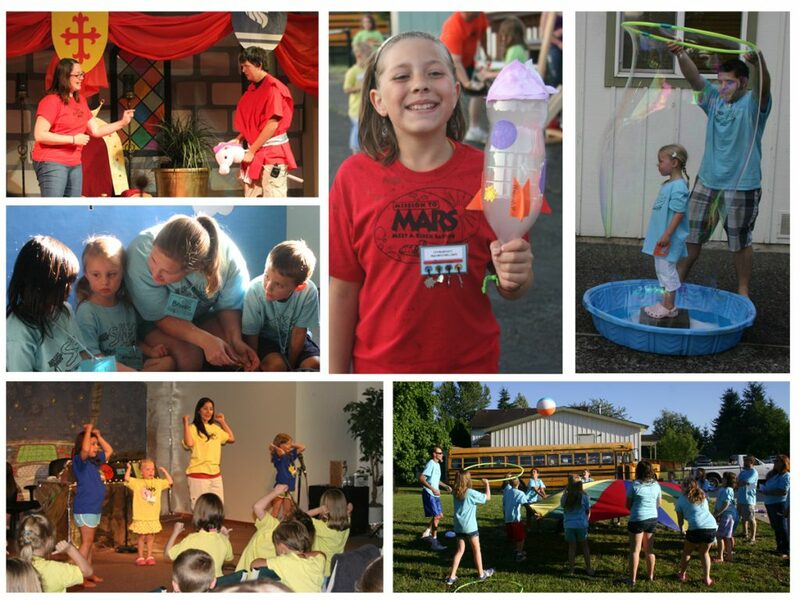 I believe in camp and the powerful and profound impact that it can have on our lives. In ten days, I will be back at camp Wi-ne-ma. We have some amazing things in store for campers this year, and it makes me so excited. I want as many kids as possible to have the opportunity to come to camp too. I want them to make new friendships and lasting memories, just as I did. I want them to be stretched and challenged in the same ways that I was stretched and challenged. Most of all, I want them to experience firsthand the love of God. So if you haven’t signed up for camp yet, do it today – you won’t be sorry that you did [SIGN UP HERE]. Camp changed my life, are you ready for it to change yours? Hello Harvest Family. 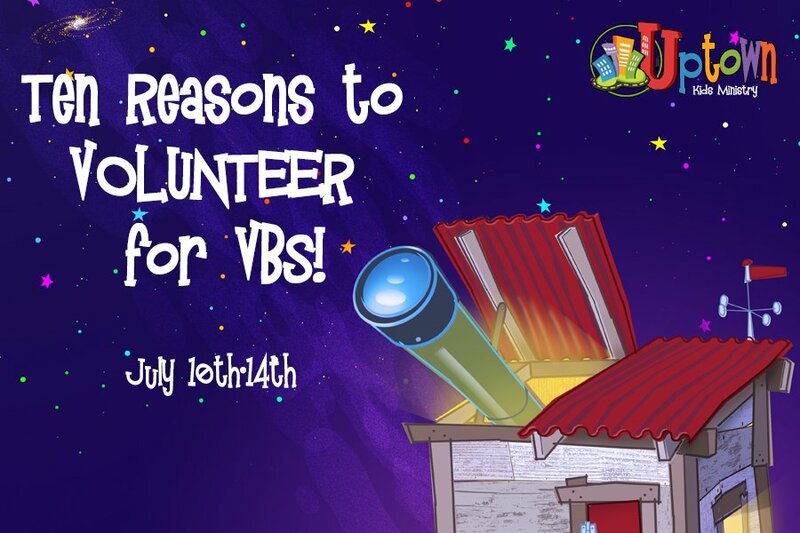 I am sending your way ten reasons why you should be part of the VBS volunteer staff. Some are big, some are small, all are relevant. Enjoy! 1. We have snacks. They’re going to be good snacks. They are going to be theme-driven and cute. Why even finish the list? 2. Jesus loves kids. He said to let the little children come to me. Whether you are a regular volunteer, so scared of large groups of children that you make a wide loop into the auditorium away from the kid wing, or have been slowly considering whether or not Uptown is a ministry you want to commit to, we can find a way for you to take part in Jesus’ love for the little ones. 3. Your kid/grandkid/brother/niece would love it. They would be so excited to have you there taking part! 4. You’ll get a t-shirt. All volunteers are going to get an AWESOME t-shirt, design and color TBD. 5. You will get to take part in teaching kids about how BIG God is. If you love God, if you love God so much that you just can’t help but let it pour out of you, I NEED you. No negotiations. 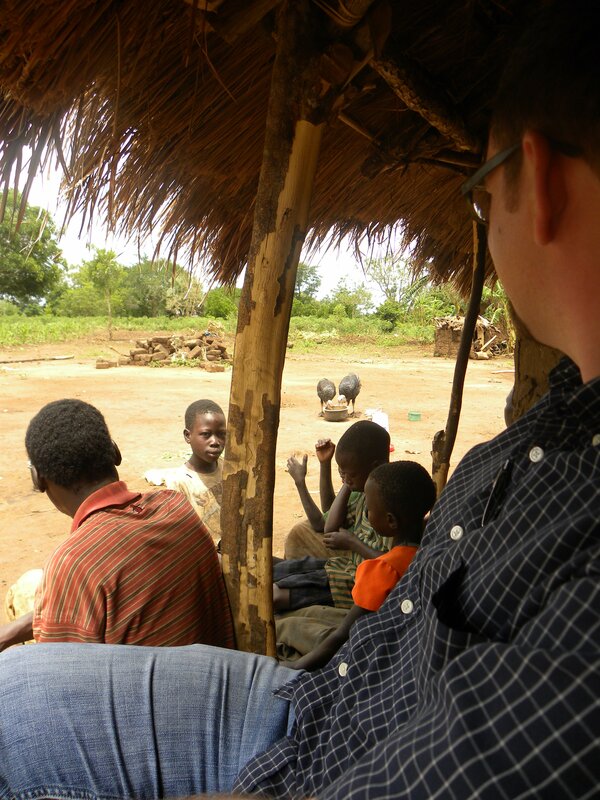 We will have unreached kids there that NEED someone passionate to tell them about how awesome God is. 6. You can be a part of our children’s ministry, even if you don’t have the opportunity for a month on/month off Uptown commitment. I get it, it’s hard to say “yes, I can be in the classroom every other month.” But this is just three hours a day for five days. It’s easy. It’s a great opportunity for members of our congregation who are not normally in our ministry to get to support their discipleship. 7. You really love stargazing, right? Well, we have a stargazing themed VBS this year. It’s perfect for you! 8. These lessons are great for everyone. They are basic and important. Kids, big kids, and adults alike can benefit from what we are offering. 9. We have crafts. And games. And worship. And missions. It’s going to be so much fun. 10. You love Harvest. We love you! You’re part of our family. Serving at VBS is a great way to solidify connections and make relationships. It’s a good thing, I promise. There you have it. Ten simple reasons. If you resonate with any of these, you can pass a background check, and you have some spare time in the month of July please consider being a part of the VBS staff. There is a wide variety of ways you can help, and they aren’t all Monday –Friday 8:30-12:30. You can sign up with this link [Sign up Here] , or fill out a volunteer form on Sunday. I’ll be in touch soon. Rebecca and I just returned from about 7 weeks in Uganda where our oldest daughter Rachel, her husband Daniel and a pending adoptive grandchild are living and working as missionaries. 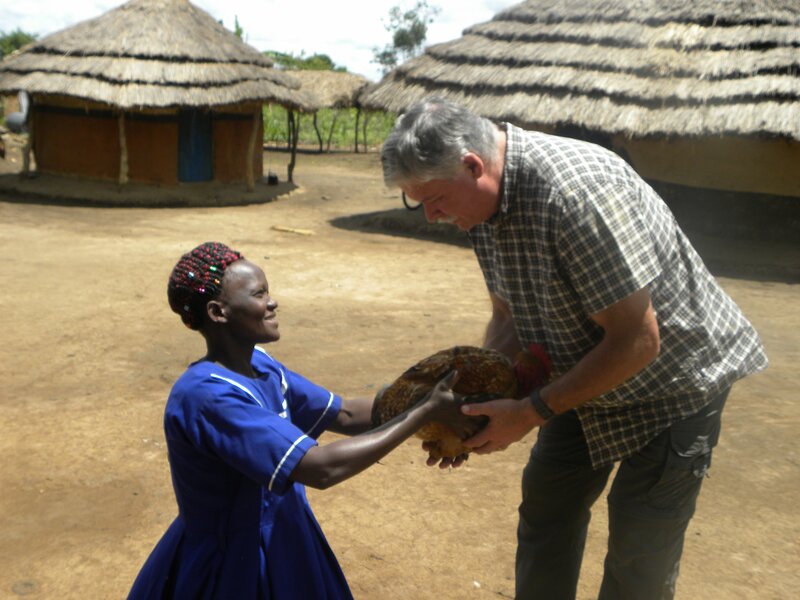 Daniel is a veterinarian, a graduate of Oregon State, and he sets up small business enterprises where Ugandans in isolated communities can raise turkeys, goats and rabbits not only to augment their own diets but also to generate some income. There are several places in Uganda where he has ‘start-ups’ so there is a bit of travel for him to keep the process in motion. Each of these locations is connected to a local church work so Dr. Daniel’s work creates a bridge between destitute and marginalized widows and families and the message of Good News. visits was moving and humbling. At one location the widow we visited was so grateful for our visit, words of encouragement and prayer that she gave me a Rooster. I can afford more roosters than she could imagine but the gift was graciously accepted. At another site (about 18 hours of driving away) we visited displaced forest pygmies who have been driven onto marginal lands, and without resources and support. Large portions of Africa are being depopulated and left as animal preserves because of international effort to create wildlife sanctuaries. National governments are financially rewarded for this but nothing trickles down to blunt the effects of displacement on those evicted without compensation, from lands that they lived on out of recorded history. The Pastor of the local Baptist church in this area which is just north of the Rwandan border and Daniel have partnered to identify open land (Pastor George’s task) and establish a protein and income source for these impoverished and neglected people (Dr. Daniel’s task). The tribe they work with are the Batwa and they are an unreached people group with animistic beliefs. They are now building interdependence with the local church. I spoke to them in a breathtaking circumstance, part way up the side of a cone volcano, one of three in a line marching into northern Rwanda. Through an interpreter I used ideas from Acts chapter 17 to present God’s nature and made the case that special trees and rocks and mountains cannot help us with our needs because they are only created things, like us. God, who made all things, is our source of help. 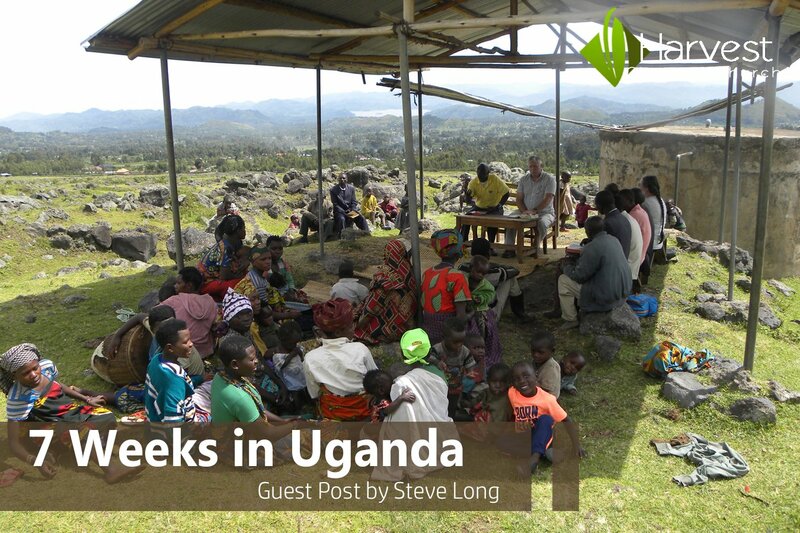 Pray for these people as Pastor George and Dr. Daniel continue their work with the Batwa. 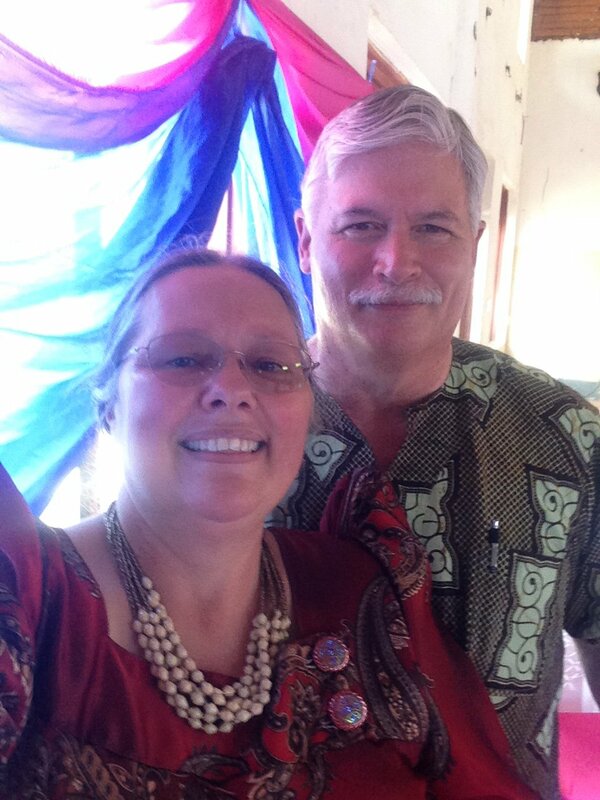 About 15 kilometers from the town of Soroti, where Rachel and Daniel are based is a third work that has just started. Rebecca and I were present as two turkeys each were ‘loaned out’ by the church there to widows and impoverished families. Several weeks later students from the Bible School that Daniel teaches in came along for a follow-up with those who received turkeys. We (Dr. Daniel, Pastor Charles and I) visited a blind man and his wife who have many children. He went blind in 2010 and this has devastated his ability to provide for his family. This visit almost overwhelmed me because his needs are so complex; even to provide food for his children. They eat one meal a day which many poor families do in Uganda, and the children can augment this with mangoes which have two seasons, Spring, and Fall, and anything else they obtain in the bush. The family has a small plot of land and their daily meals are derived from this. We prayed for Michael and his family before we left and you can to. Other ‘helps’ are in the works for him but they cannot be associated with U.S. money because it distracts desperate people from looking to God for help and they look to humans (us) as their benefactors. This does not mean that we cannot help but our help should pass through the local church so it is rightly identified with God for His glory. It is tempting to pull our pockets out and let the change fall liberally all over the place. Many of us have the wherewithal to answer today’s problems for some. We may want others to see us as good people and our heart is to help and do good things, but when we do this carelessly people begin to depend on us as though we are their answer to life’s problems. That is God’s role and not ours. So Rebecca and I are home now but home seems a little strange. Some things have changed, maybe it is us. We have atoms from the dust of Africa in our bodies. We lived as visible minorities in a culture not quite like our own. As we look around us we must conclude that we are so blessed but we feel a vague burden with our blessing. New ideas are forming in our minds. Just like Abraham was blessed to be a blessing, so have we been blessed.